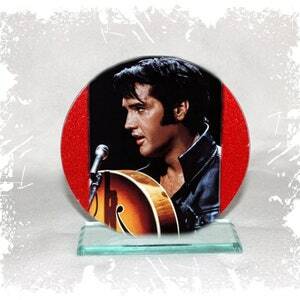 **** Photo Cut Glass Round Frame Plaque Special Occasion Limited Edition. 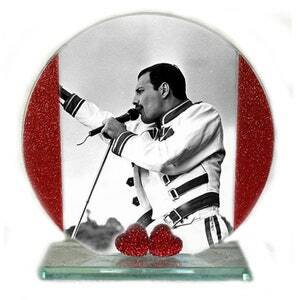 ***** This beautiful glass plaque is decorated with 2 Diamante Red Hearts. ***** The sides are a glittering red with 2 silver stripes on either side. ****The overall size is 5.5" Diameter x sits on a glass base 5" x 3"
***** All of Cellini products are professionally handmade. than any others that are available. **** This can be a perfect gift for that someone special. 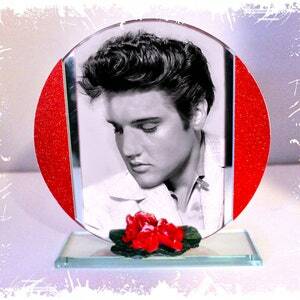 This frame is decorated with porcelain Red Roses. 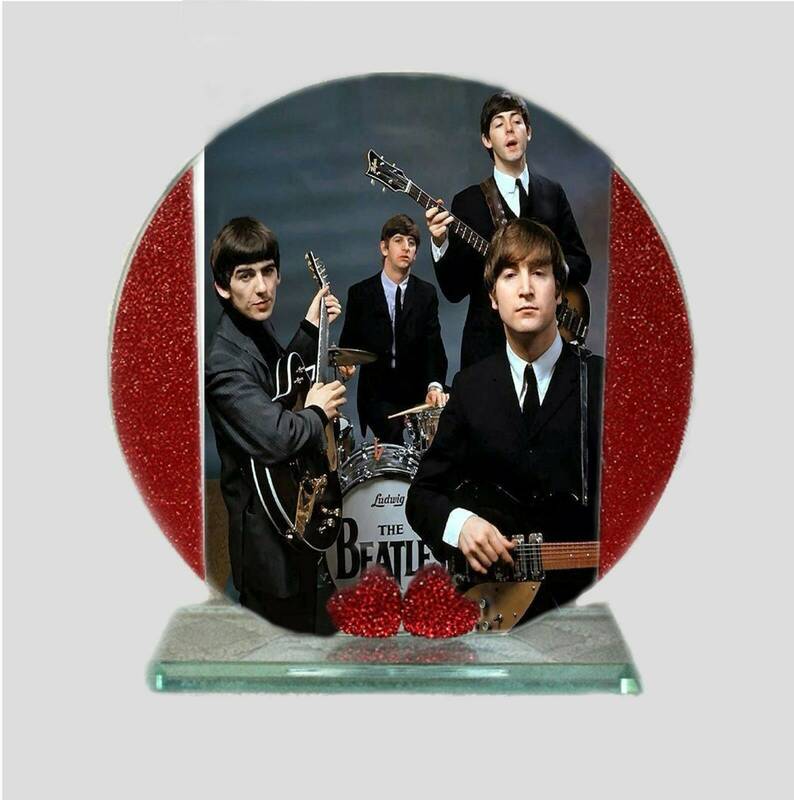 ****This Round Glass Plaque comes gift wrapped, making it a perfect Keepsake to Treasure forever! 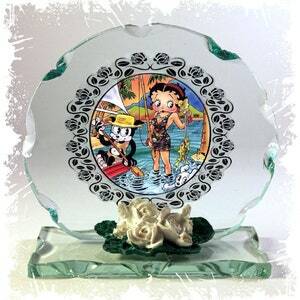 **** All of the Cellini Plaques are professionally handmade. **** It can be a unique gift for any special occasion. **** Fan lovers will love it.